Jerome and Clarkdale are rich in copper-mining history. Though the mines and smelter closed in 1953, the area retained its turn-of-the-century character. With a population of around 4,000 people, Clarkdale sits on the banks of the Verde River providing fishing, kayaking, hiking, biking, and lots of wildlife. It is home to many 3rd and 4th generation residents. 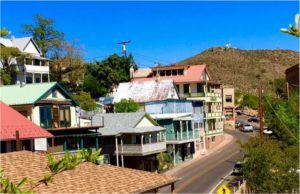 Jerome is now home to 444 residents and is proud of its National Historic Landmark status. Providing a spectacular view of the Verde Valley, it is a bustling artist community attracting tourists from near and far. The Yavapai-Apache Nation is highly revered and a federally recognized sovereign Indian Nation, comprised of descendents of the Wipukyipai (Yavapai) and Dil zhee' (Tonto Apache) people. The Nation's people reside in the Verde Valley, many in Clarkdale. 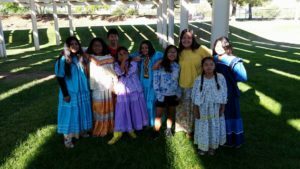 Clarkdale-Jerome School is proud to have the Clarkdale Yavapai-Apache among our students. We value the partnerships with the Nation and embrace the shared culture they bring to our school.